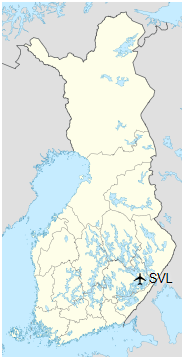 Savonlinna Airport (IATA: SVL, ICAO: EFSA) is an airport in Savonlinna, Finland. The airport is located about 15 kilometres (9 mi) north of Savonlinna town centre along the Enonkoskentie road. 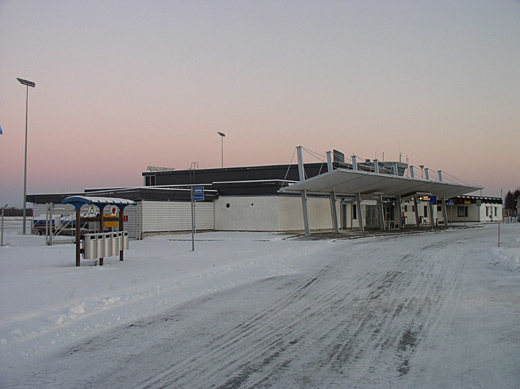 The airport has a single asphalt runway and two gates, one with a waiting area fitted with seats. It also hosts a small cafeteria. The busiest times are during the Opera Festival when there are more scheduled and charter flights to the airport.